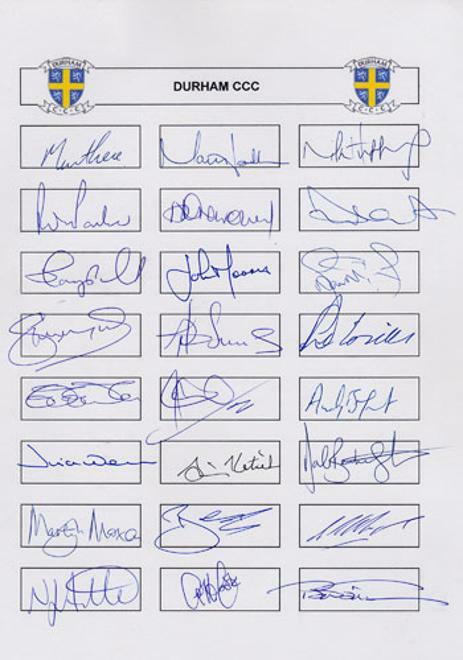 Multi-signed by 24 team legends autograph sheet, inc: Ian Botham, Mike Hussey, Paul Collingwood, Steve Harmison, Nathan Astle, Geoff Cook, Martin Love, Dale Benkenstein, Sherwyn Campbell, Simon Katich, Martyn Moxon, Marcus North, David Graveney, Paul Parker, John Morris, Jon Lewis, Shoaib Akhtar, Brad Hodge, Shiv Chanderpaul, Vince Wells & more. 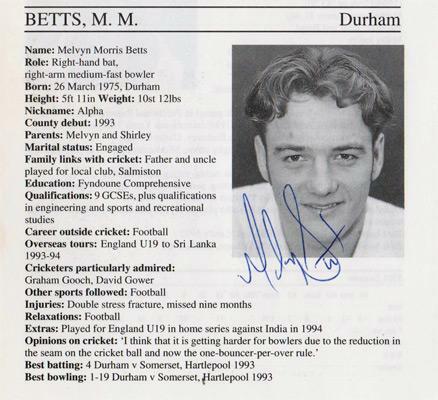 Signed 1995 Cricketers Who's Who bio entry & portrait pic. PLEASE USE THE CONTACT US FORM FOR FURTHER INFO.